The Connecticut General Assembly session is in its final days and there have been a few controversial bills proposed this year. One of the biggest was the repeal of the death penalty. I expect we will still be hearing more on this in the coming months. Changes to the rules for educators, especially the tenure program for teachers, were Governor Malloy’s primary focus this year. This session also brought out a few other interesting topics that did not necessarily make it out of committees but are issues to think about. The banning of wood furnaces was again proposed. This bill was less restrictive than last year’s bill. This one recommended banning their use from May until October. 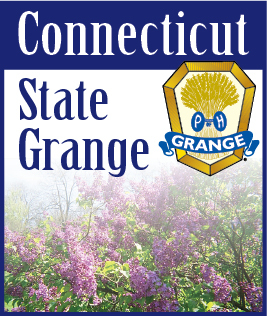 The State Grange policy is in opposition of banning their use. These furnaces can be used for heating hot water as well as heating homes, farms and nurseries. One question that was asked during the committee hearing was how many farmers were using outdoor wood burning furnaces for heating hot water for their farming business. If anyone knows that answer, we would be interested in hearing from you. Another bill proposed was changes to liability for recreational use of land that is owned by municipalities. This would include political subdivisions of the state which I believe includes the Department of Energy and Environmental Protection (DEEP) along with water and sewer districts. If the land is unimproved, presently there is no liability, but if improvements are made, are they liable? The proposed bill would add boardwalks, public beaches, structures for spectator seating and paved walking trails to these exemptions. Boardwalks can apply to any wooden or wood like walkway. Public beaches can be found along the sound, lakes or rivers. Paved sidewalks could be bikeways and trails. This brings into question what if a municipality adds a boardwalk, beach, or a paved hiking/biking trail to a public area and then does not maintained it. Do they have an obligation to maintain their property improvements? If someone is injured because of lack of maintance, should the municipality be responsible? Would not having this exemption discourage municipalities from making improvements or open their land for recreational use? I am in no way suggesting one way or the other, just food for thought. This year we saw a bill proposed requiring the labeling of genetically altered foods. This bill would require that any foods that have genetically engineered foods in them be labeled as such. Would food prices be affected if we require foods sold in Connecticut to be labeled as genetically altered foods while labeling was not required in nearby states? Would this impact some companies enough so they would stop marketing some products in Connecticut? Would it be better to suggest labeling if they do not have genetically engineered ingredients? Do we even care if they are labeled? Does this have to be addressed on a National basis? I know that this subject caught the attention of our State Master. Consider events affecting your community or topics like supporting the fight against childhood obesity. Should we consider supporting the growth of the Farm to School Lunch program? Maybe we can work on increasing awareness on the benefits of healthy eating for our children. These are some ideas of what could be brought up for resolutions. Look around your community and become involved.